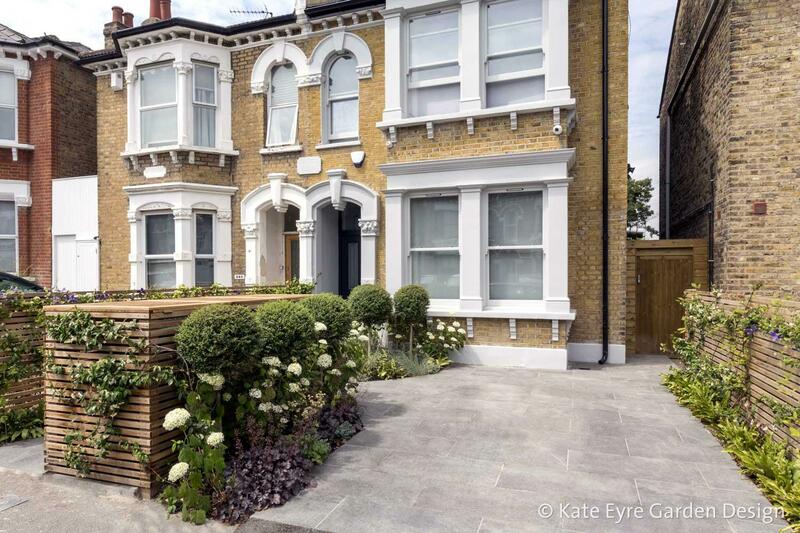 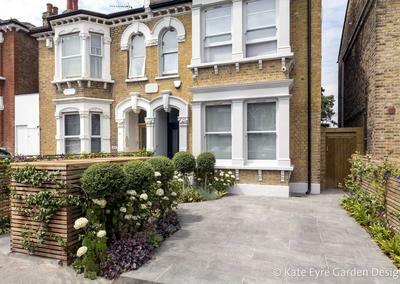 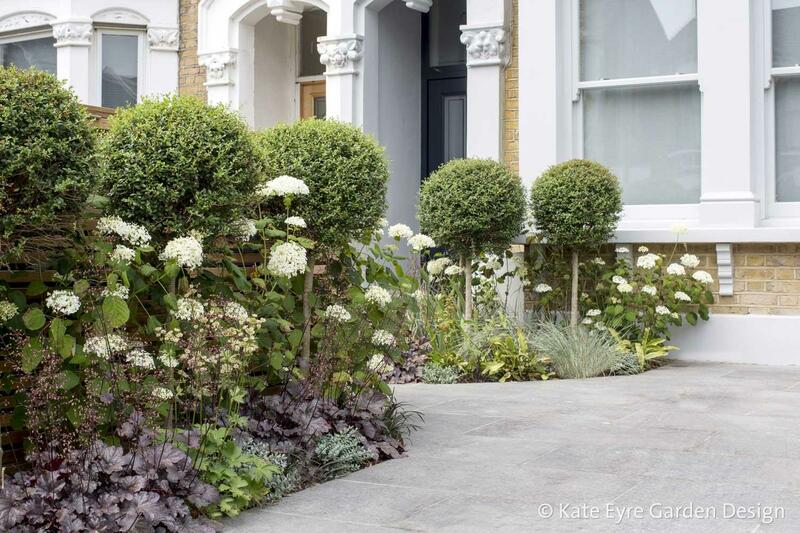 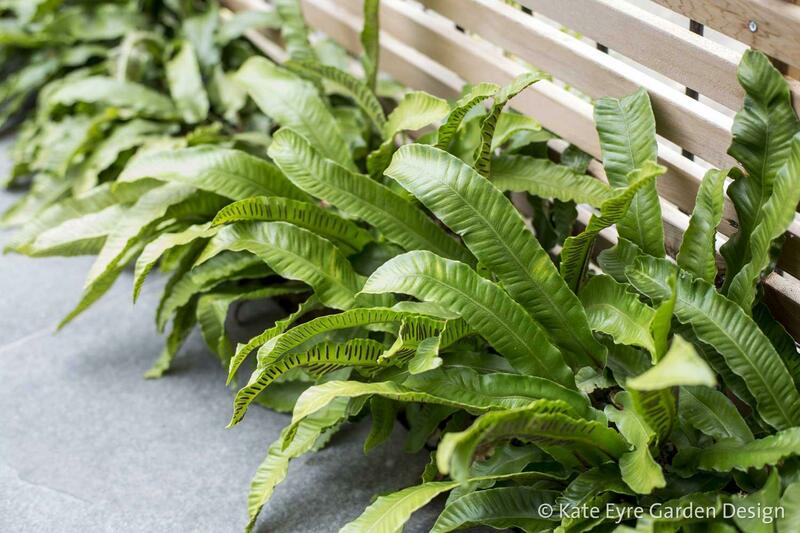 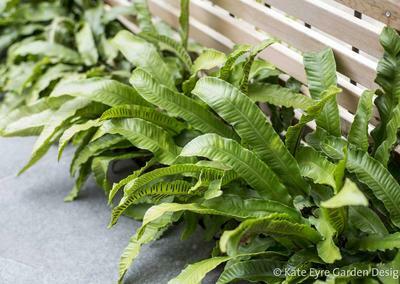 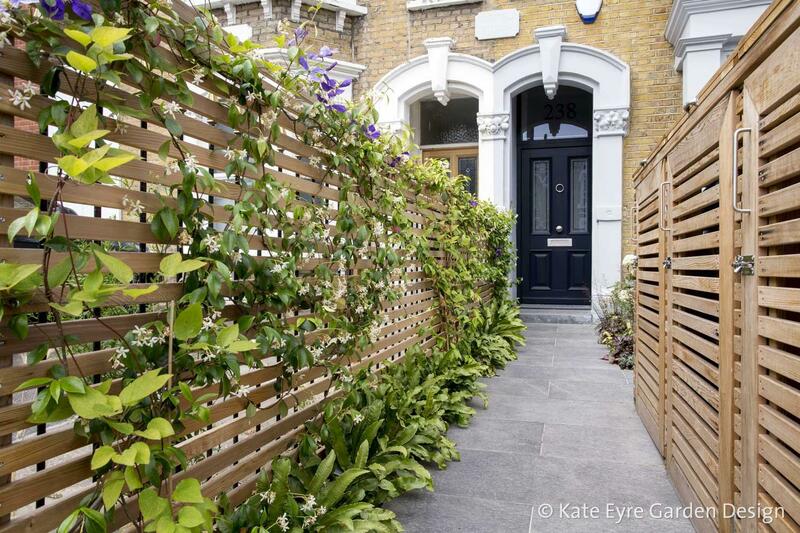 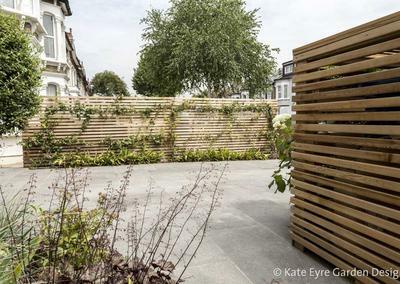 For this small front garden, we designed a functional but decorative space. 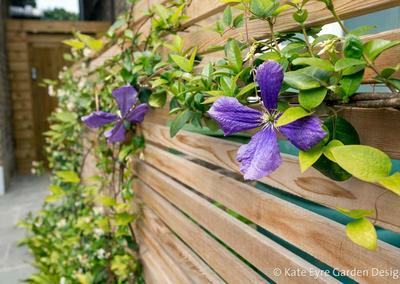 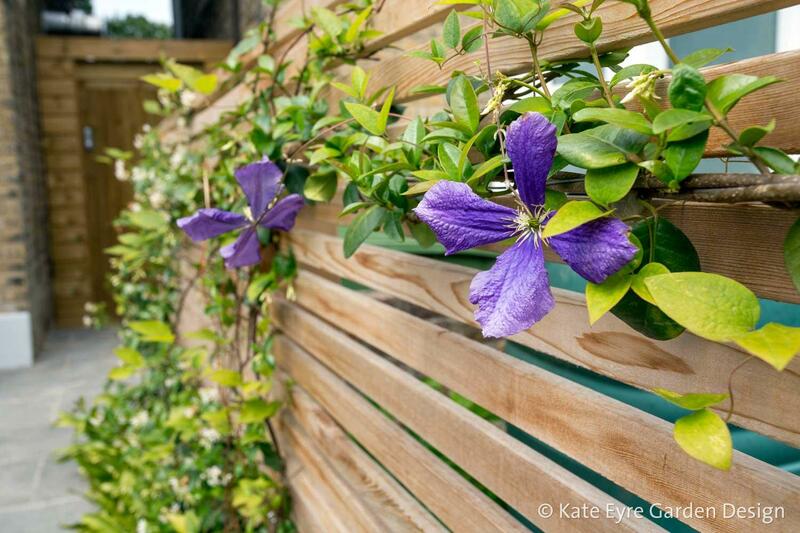 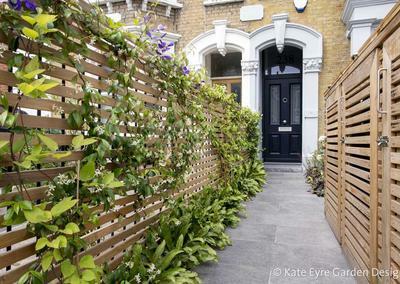 High cedar trellis on each side enclose and shield it from the busy road, with ferns below and fragrant jasmine and colorful clematis to soften the lines. 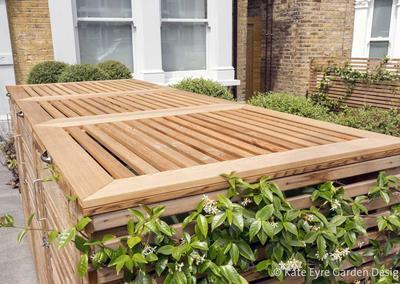 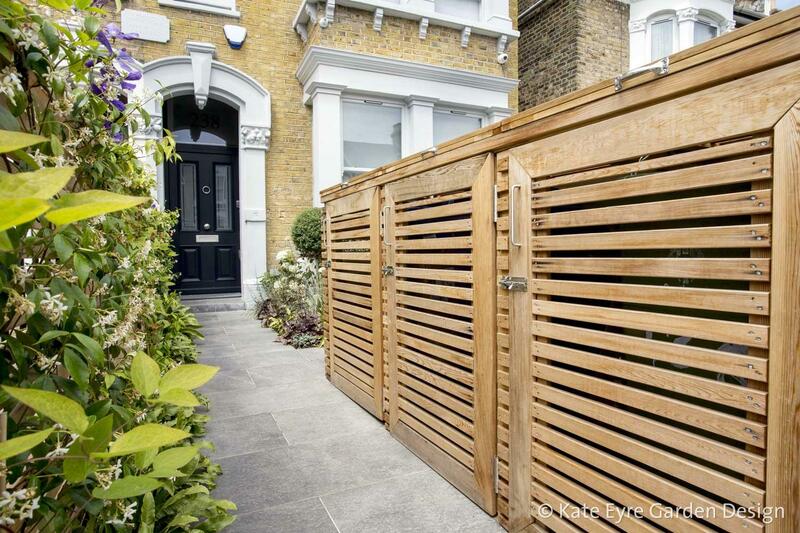 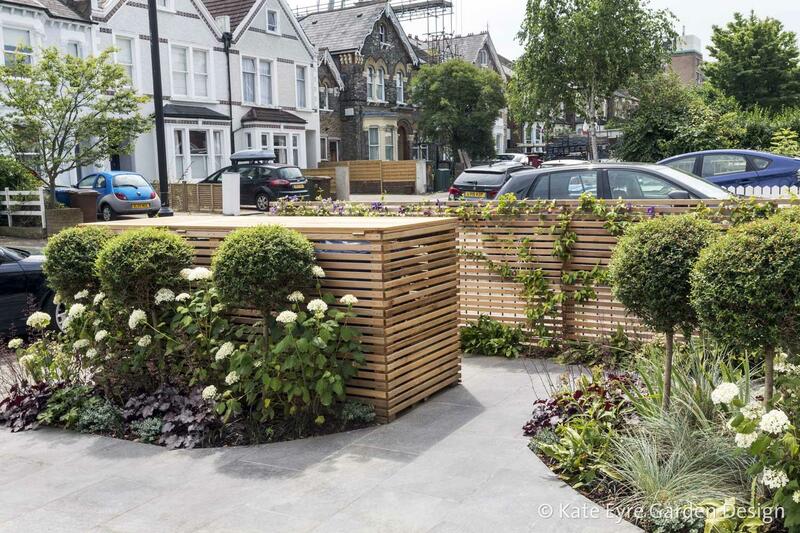 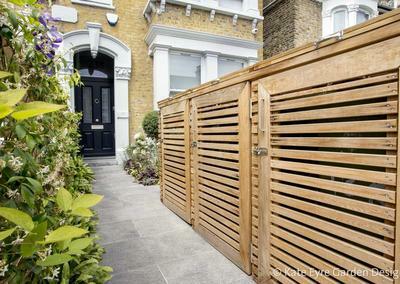 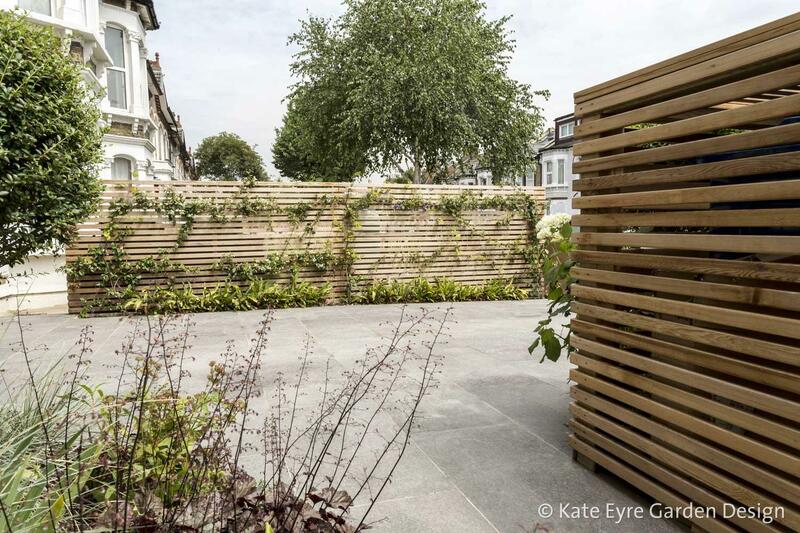 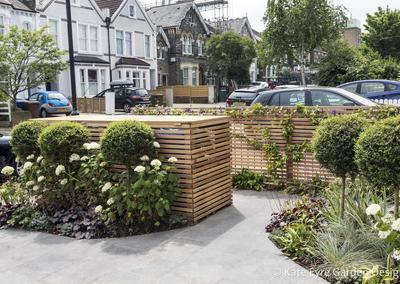 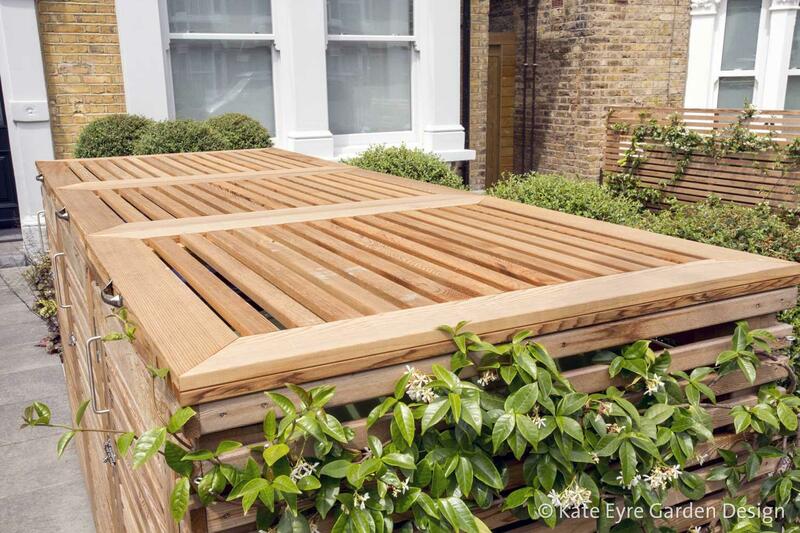 The bespoke bin parks were also built with cedar to blend in. 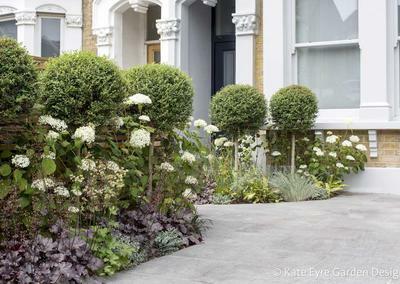 The entire surface was laid with a textured dark grey porcelain for a modern and sharp look, and in keeping with this style, we incorporated black, white and silver planting around the half standard Ligustrum trees.